One day you wake up and realise you have a whole (short) collection’s worth of weird tales. And then you think, huh. I could just go ahead and publish those weird tales all by myself! And so you do. And this is what happens. Fred is a goth. A real goth, descended from a real Visigoth tribe, not one of those mopey kids in black eyeliner she ignores at school. But when her talents as a witch and her fetish for stupid boys with spikey hair get out of hand, Fred finds herself on the run from her very own lovesick zombie boy band. Nine weird tales of lost gods, demonic dating sites and dusty antique shops all in one tiny book. A collection of very short, very weird stories by Damien Walter. 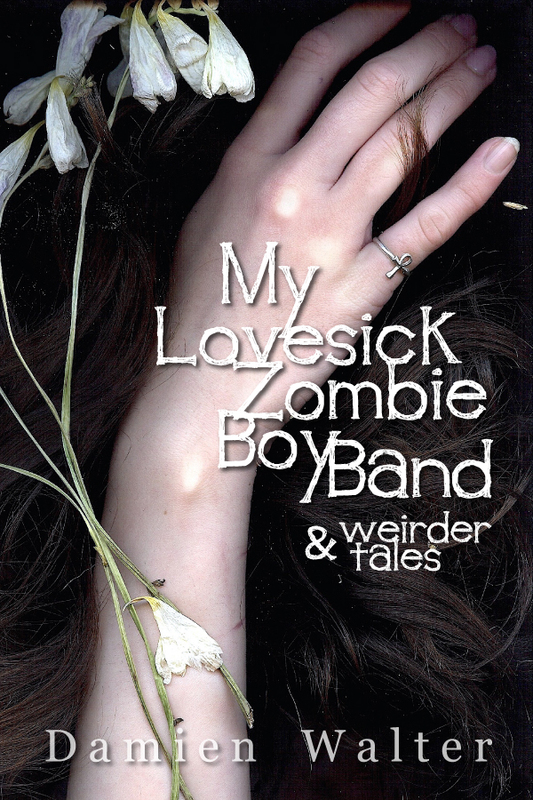 My Lovesick Zombie Boy Band has been up for less than a week and has quite exceeded my expectations of what such a short (only 9 stories and 62 pages) collection could do. The process of putting it together was remarkably easy, and I’ll be putting up a post on that, on the cover design (which I love) and a few other observations in the near future. Until then, I left a pile of free copies at PayHip. Use the coupon code ZOMBIEDAMO to grab one. Congrats, Damien. Going to check it out when I get back home from vacation.